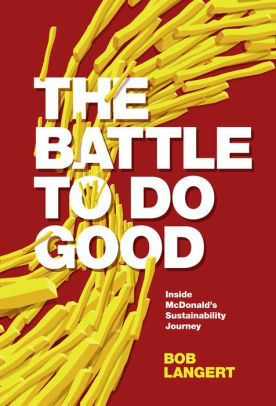 The Battle To Do Good chronicles Bob Langert’s role at McDonald’s as its chief social responsibility officer. Langert’s nearly thirty-year career featured several collaborative changes in how the restaurant did business, both with its customers and the suppliers and producers that fed the vast global supply chain of one of the world’s largest corporations. Langert discusses a dozen key “battles” throughout his career. This ranges from cage sizes for hens to managing waste, from soybeans to value statements. In each of these moments, Langert walks us through the incident, the steps taken to come to a resolution, and the outcome. Many of these instances were occasionally fraught with frustration from McDonald's, various activist groups, or both. But Langert shows how through collaboration, conversation, and various “hard knock nuggets” in each battle a consensus was usually reached. In fact, each consensus typically improved the company’s sustainability efforts. This book is ideal for those who want to understand the process of making change and improving a company’s social responsibility ethos. 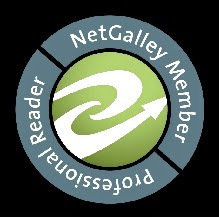 While it may read with a touch too much sunshine and lollipops (I can’t foresee some of these changes being quite so simple as they seem to come across), it does provide a good playbook to understand the importance of engaging multiple individuals both inside and outside a company to create sustained and proactive improvement. Given that many of the aspiring business leaders want positive and socially responsible businesses, I think it’s critical to know that sometimes change is not easy nor a quick process but that many companies are aware of the need to be responsible stewards to the world they are a part of.